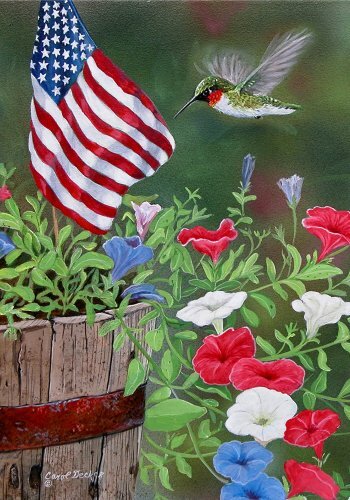 This decorative flag is approximately 12" x 18" and has an opening at top that fits on standard garden sized holders. Custom Décor flags are of the highest quality. Picture is on both sides.